The Terminal Operating System (TOS) which allows central coordination of handling and storage of containers, needs a solid wireless network in order to allow seamless operations and real-time exchange of data. The more the reliable the network is, the faster the operators can receive orders and process handling of containers – it makes sense to say that consistent coverage and a fast network play a crucial role in streamlining operations. 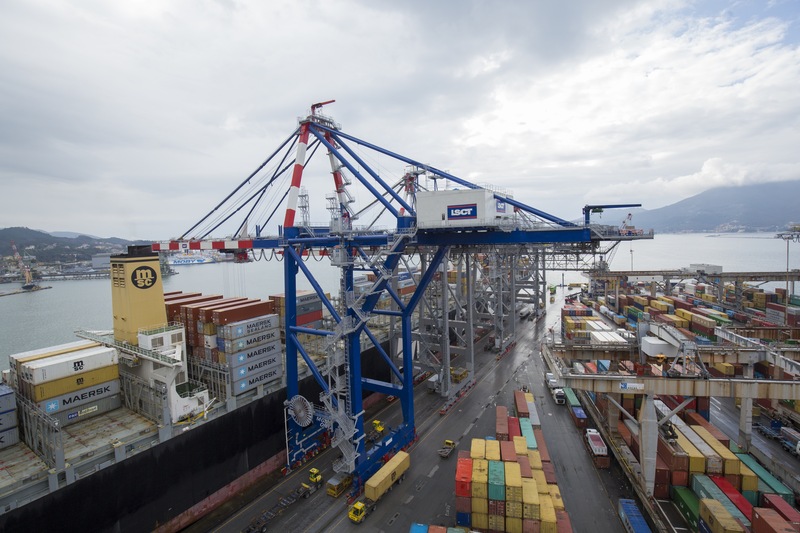 The layout of LSCT is a challenge for the propagation of wireless networks, as containers are stacked up to 5 rows high, and constant interferences also come from ships, radars and the surrounding city of La Spezia. This strongly impacted drivers and crane operators, forcing them to drive to areas where network coverage was strong enough to retrieve new orders. With the implementation of Fluidmesh MPLS technology that works in parallel with the existing WiFi system, all movable assets such as Ship-to-Shore cranes, RTGs, Terminal Tractors etc., will benefit from low-latency connectivity and constant network access from all terminal points. Every piece of equipment will be fitted with Fluidmesh FM3500 ENDO radios that will communicate with Zebra tablets that will support TOS control, and stations will use Fluidmesh Machine Learning algorithm to optimize channel access and vehicle connectivity. Thanks to the implementation of the Fluidmesh technology, LSCT has radically reduced operational down-times, with the aim to constantly support customers and to act as a premium business partner for the global supply chain.